Temperament, Interaction Styles and Jung/Myers Personality Type are three related concepts that help understand individual personalities and mental processes. Jack Falt is a trained facilitator in several methodologies: For temperament: his own Appreciating Differences Thru Colours, and Personality Dimensions™. For Jung/Myers Personality Type: Myers-Briggs Type Indicator®* or MBTI® instrument. The Self-Discover Process™ or TRI Methodology™ includes - temperament, interaction styles, Jung/Myers personality type and the eight cognitive processes of Jung. Jack is no longer activley giving workshops and presentations. 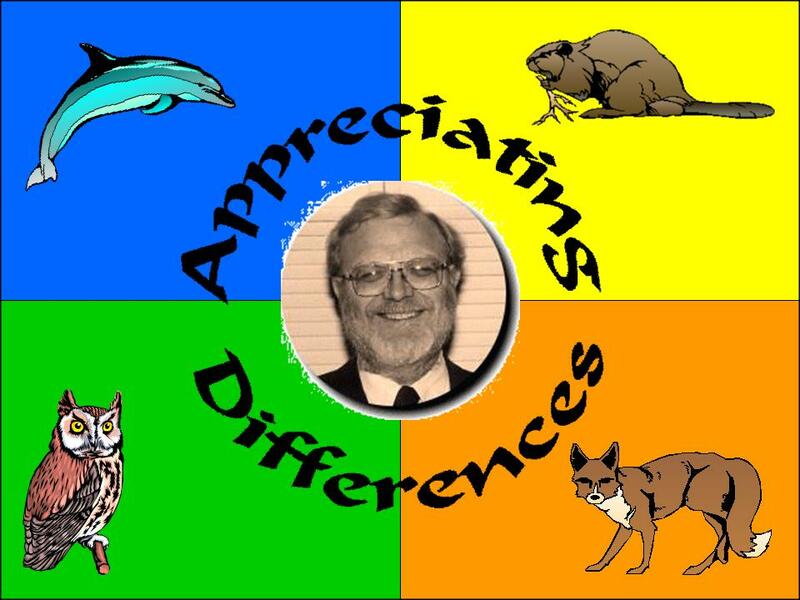 Appreciating Differences is an ongoing group led by Jack Falt that looks at the many areas of the working world and personal life to which the above very practical concepts can apply. In the past the group has studied temperament, Jung/Myers personality types as well as the Enneagram and Emotional Intelligence. The group is presently studying the origins of religion and personal spirituality. * MBTI, Myers-Briggs, Myers-Briggs Type Indicator and Introduction to Type are trademarks or registered trademarks of the Myers-Briggs type Indicaotr Trust in the United States and other countries.